Hello, hello! 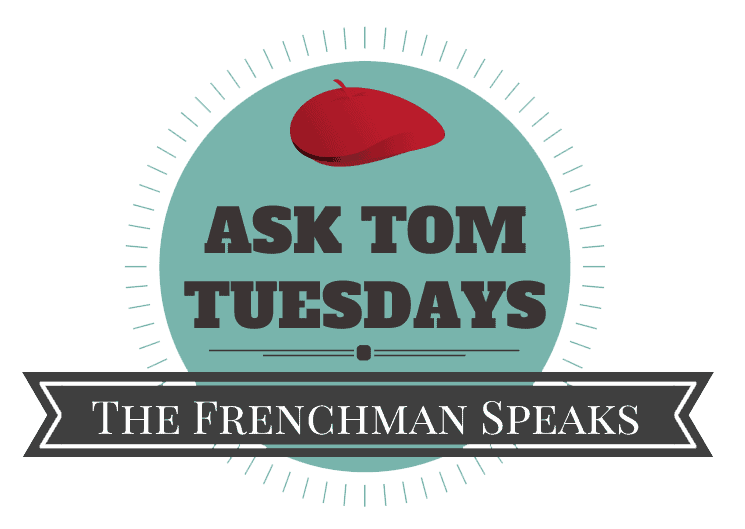 The second post of the week is coming a little early because my French husband Tom is joining us today for the latest installment of his series “Ask Tom Tuesdays.” It’s where you ask the questions and he gives you the answers. Longtime Oui In France reader Todd wrote and asked Tom to compare and contrast French and American sports fans and since Tom is always down to talk about sports, he took some time over the weekend to write this post for you. Diane’s note: Tom’s native language is French so to give his posts an authentic feel, I don’t edit his words except for clarity and typos. The following post is written by Tom. Enjoy! Hello! I already talked in an old post about generalities in sports between France and the US, but as the soccer Euro Cup just started here, I’ll put a focus on sports fans today to answer Todd’s question (thanks Todd!) and to talk about sports culture in general. First, I’m not a sports expert but I enjoy them a lot both as a spectator in person and on TV. For US sports, I’ve been to a minor league baseball game as well as an NBA game and enjoy American football and pro basketball on TV. So let’s turn to soccer. Just a quick mention to say that the soccer Euro Cup is a very big event here (in Europe soccer is by far the number 1 sport) and even more in France right now since the country hosts this year’s edition (note that the Euro Cup takes place every 4 years). One major difference I have to note is that in France the sports fans are only for professional teams. This makes sense since there is no equivalent of college sports team in France, no NCAA at all! I’ll focus here especially on soccer since it’s hands down the sport that attracts the most fans in France. One of the differences I think I’ve noticed (please correct me if I’m wrong) is that sports fans in the US (let’s take the example of football) tend to be in a more family-oriented and gender-mixed environment. Being a soccer fan in France is more of a masculine world (not saying there are no women but definitely a strong minority). I feel sports fans here tend to be more passionate and aggressive. That doesn’t mean US sports fans aren’t into supporting their teams, etc., but I think American fans take the events as an experience, a show — they drink and eat food at venues, BBQ for big games with family and friends, and you watch while you’re eating your ribs and sipping your beer or plastic cup of whatever drink. 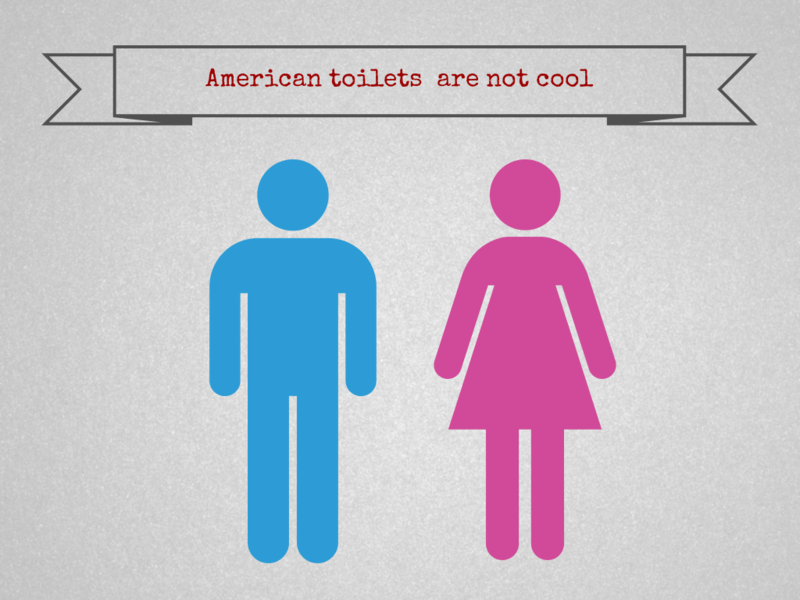 American fans are “engaged” in the action but not as seriously as here. French sports fans — and this is also valid throughout European countries and even more in some other countries actually — get their emotions from the games and the results themselves, and it’s less of a focus on the social aspect. They cheer a lot, which usually starts long before a match, and groups of fans gather and start singing. They often go to bars and especially terraces to watch the match together. For every soccer team, there are one or more groups of “absolute” fans commonly called “ultras” but that all have specific given names (can start with “kop,” which is also used in the UK to designate a part of the stands in the stadium where people are the most animated, and those groups of fans always sit in the same spot). Now this is an important part of European sports fan culture. And as much as those groups bring real support to their teams and a real ambiance to a match, that passion unfortunately also comes with its dark side, which is violence. Such groups tend to go from teasing each other to getting involved in violent fights. Same thing happens with the support — cheers and singing during matches — that turn into whistling, insulting when those fans aren’t happy with their team results (or fed up by bad results). This happens regularly. As I’m writing this post, we had pretty violent fight take place in Marseille yesterday. This time, it involved English and Russians fans, one of the British ones being right now between life and death. Violent fans have always been a problem around soccer and especially in the UK, even if now they’ve made things way safer there with very strict rules. I have to underline, though, the fact that a very small minority of fans are using games and matches as an excuse to actually engage in fighting. They don’t really care if the team wins or not because they’ll fight anyway. They even set up “fight meeting points” with other groups! Sometimes they show up at the stadium just to fight and don’t have tickets to the match! Beyond that, the events that get the most people together, especially the “hard” fans and “opportunist” fans, are by far when it’s about the national team, when France plays other countries. 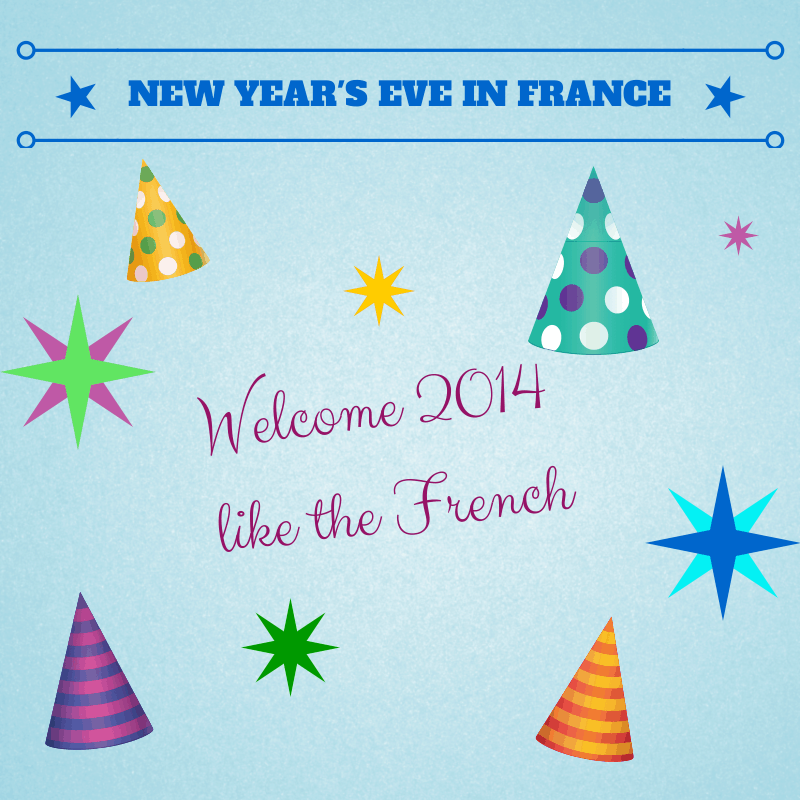 It’s probably one of the very few moments when French people actually feel a bit of patriotism! Haha. I think it’s something a bit unknown for US sports fans, since all the biggest US sports don’t really have any international competitions (kind of funny to see that the Super Bowl winner if I’m not mistaken is sometimes called the “world champion”), or for baseball the World Series (not a big deal if the US wins since it’s an American sport). I had the chance to experience the ’98 World Cup which was hosted in France, and it was a great event! France won its first World Cup in history — and while they were playing at home! It was a moment of unity with people everywhere in the street, singing, cheering, full of joy. And that would happen in any country. The World Cup is so big that every president secretly wishes that its national team would win the cup (right now Francois Hollande would love for that to happen as we all know that’d put the country at “peace” for a little while). With the Copa America happening right now in the US and for the first time in history, and with the US team making a good first round, do you think that people are going to root for the US team and share those moments together? Do you think it’s going to help soccer grow even more in the US? And what if the US won the Copa? I was very recently in the US at the start of the Copa and it didn’t seem to be a big event at all, as the only info I got about it was from specially dedicated sports channels and not mainstream TV. 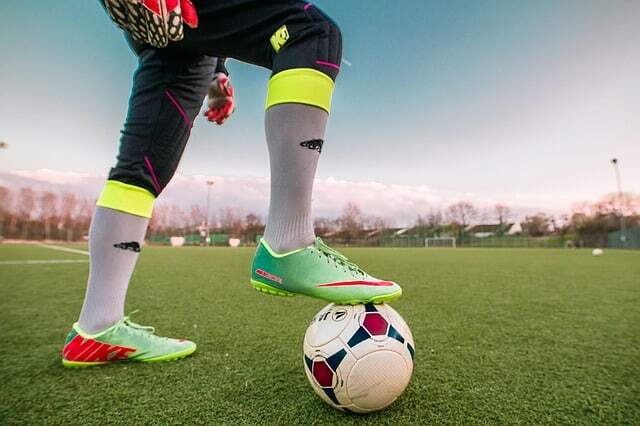 What are your thoughts on soccer going mainstream in the USA? See other “Ask Tom Tuesdays” posts here! 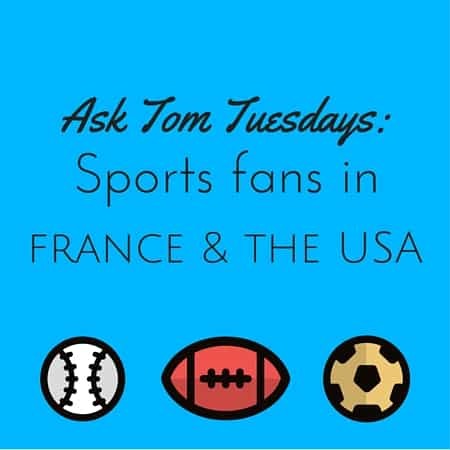 Thank you, Tom, for taking the time to share your take on sports fans in the USA and France! Very fun to hear Tom’s take. Personally, I am allergic to sports. Thanks for this post! It was very fun to read! My husband and I are watching the Copa and the Euro. I think the support and interest for soccer is, indeed, growing in the US. Will it ever be like Europe? I don’t think so. There are just too many other competing sports that are more ingrained here. But we can hope! Soccer will slowly come to the US. It will take the children of the current middle aged families. I am 68 and coached youth soccer when my children were young. I was not a good coach, but when I said I knew the off sides rule at a meeting I was immediately drafted. I had played soccer (and cricket!) at a summer camp. Now my children can coach their children in a much more exciting way. I think woman’s soccer generates more excitement than men’s right now. On that matter, I have to say that soccer rules are very easy to know and understand when Football rules are pretty complicated (for me at least). First of all – thanks Tom and Diane on responding to my request. I agree with Tom that there is a big social aspect to sports in the US (that has actually increased over the years). Still when the games start to “matter” (i.e. playoffs) fans get more “serious”. On Tom’s question about soccer, I agree with Mark that American fans got real excited in 2011 when the US women went to the final in the world cup. On COPA, I see a little more interest because I am in New York City which has more soccer interest. I think if the US would win or go to the final (unlikely) , that could spark some interest. What I think it would take is the US mens team going to the final in the World Cup. The big issue in the US are the great athletes that instead go into football (running backs, wide receivers), basketball (guards, small forwards) and baseball. We need a few of those types to commit to professional soccer around age 16-18 to truly compete. Tom – if you ever get a chance, I highly recommend following March Madness (the annual college basketball tournament in the US) – it really has the same “feel” as the World Cup in a certain way. Just “adopt” a team and go for it. (kind of like I adopted Chelsea in the English Premier league). Now for this year’s tournament a final victory might be hard to achieve, since if USA beat Ecuador the next match it’d probably have to play against Argentina in the semi, and Argentina is doing very well so far. But the fact that for the first time USA play at home could really help (that’s exactly when you need fans to be what we called the “12th men on the field”!). In reference to young athletes picking soccer over football, basketall, I guess it’d happen if college soccer was someting important (is soccer even part of the NCAA?). 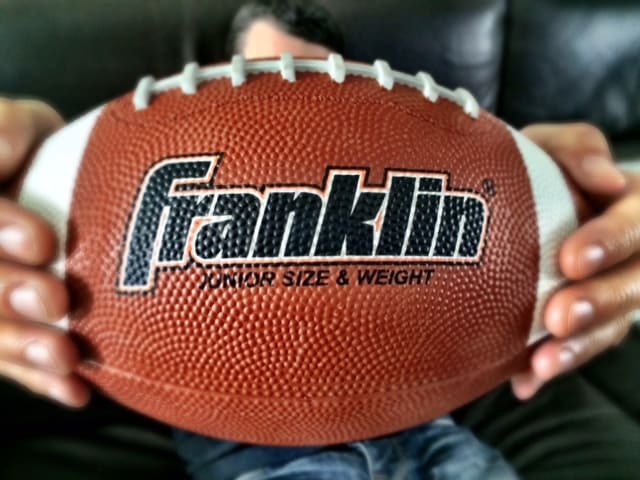 And one last thing, even if football (american football) will always be the number 1 sport in the US, I think the medical problems associated with its nature (very strong physical impacts resulting in concussions…) might eventualy turn away a few people from practicing it (like putting your kids to practice soccer instead of football because it’s safer). A lot of people might disagree with me on that, but it’s just a feeling I have. US womens soccer was way ahead european one a few years ago (very popular in the US with tons of players) and it’s very “cultural” but european womens soccer is really starting to rise here (still very far from mens soccer though). I’d really like to get a chance to follow March Madness, it’s absolutely not broadcasted around here so I guess I’d have to look around on the internet. Your point about the medical issues with football is interesting – maybe that will turn the tide. Yes Christian Pulisic is playing in COPA. and I agree he is the real thing. It would be very exciting to beat Argentina – it would be an incredible upset. As for Chelsea, well once I pick my team, I stick with them, but yes had a lousy season. Chicago Cubs (Diehard). In the American League, root for the Tigers. Chicago Bulls (loyal but never been the same post Jordan). Not so hot for the Bears anymore- kind of prefer the Lions ( I lived in Detroit 7 years too). College Basketball: Illinois (hometown and my university). My kids went to Michigan State so they are my second team. I live in New York now – been here 5 years. But will NEVER root for the Yankees. Actually I think that the main difference between european soccer fans and US sports fans is a “religous dedication” to one their home team. Your must consider a european fan as a fanatic in a religious way sometimes. Hi Rob, thanks for adding that on. I understand what you mean, there’s a kind of worship (“devotion”?) in some european soccer fans towards their team. It’s like an emotional attachment that is especially strong as you mentioned when it’s one’s hometown team. That’s also why the “derbys” (opposition between 2 teams of the same town or area) are the matches for which fans are the most excited about (A lot of them in England, but also in Italy, Spain, not many in France though). The “You’ll Never Walk Alone” of Liverpool’s fans is probably the most popular soccer fans song but there are a lot of other famous fans, and it’s also a competition for fans to show the strengh of their support, and that I think that is very european (and also south american to be honest, look at a derby boca vs river plate!). I agree with Tom, but the issue is actually much bigger than sports fans in France vs The U.S. I think it’s more a case of the sport itself, too! Soccer is the most popular sport in the world, and the emotions it draws out of its fans are unparalleled in the world of sport. Be it a club game or an international one, soccer just brings more of an emotion out of people than say baseball would. The cultures are of course different in the two countries and that does translate to some differences in the way the sport is enjoyed! Wow, this is such an interesting comparison. It’s so fascinating to see the way different cultures treat things like sports. Very cool read! Thanks so much for sharing! sometimes they show up without tickets just to fight? That is crazy!! It is true that some of the fans are more aggressive compared to the players. Every country has different traditions in sports. But, I think it doesn’t matter your races and traditions or practices, the importance is how you show sportsmanship in the game. That is how the real sports all about. You need to accept the fact that if you will not win then you will lose, just do your best next time.Thanks here for sharing this wonderful post. Wow, this is such an fascinating evaluation. It’s so interesting to look the best way distinct cultures deal with things like physical games. Very cool read! Thanks so much for sharing! I with my wife watching the Copa and the Euro. She don’t understand the football…but I didn’t know why she enjoyed it.